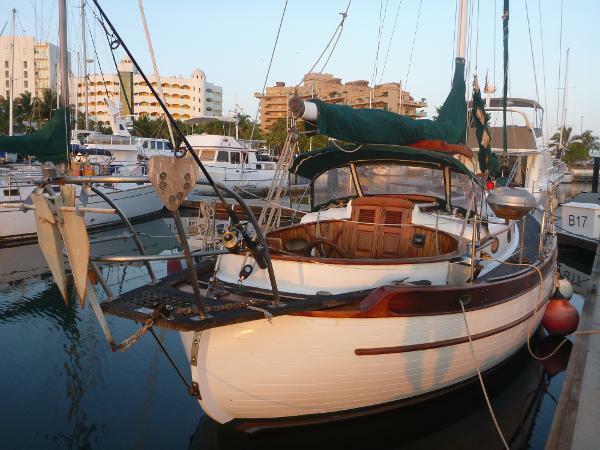 this boat provides a balanced helm for ocean sailing and timeless salty design. the Union Yacht Co. in Taipei,Taiwan. 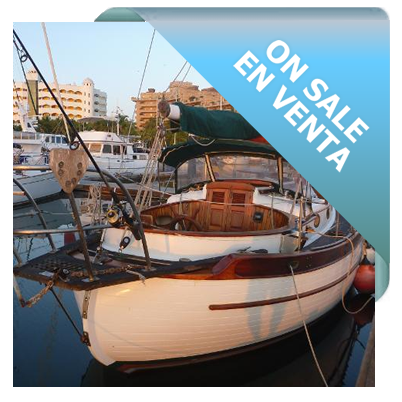 This boat offers comfortable sailing with a very reassuring and practical interior for voyaging worldwide. 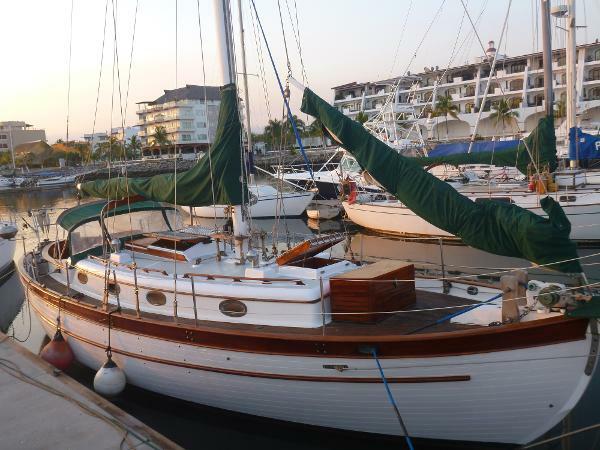 to Guatemala as well as spending many days sailing the beautiful Banderas Bay. 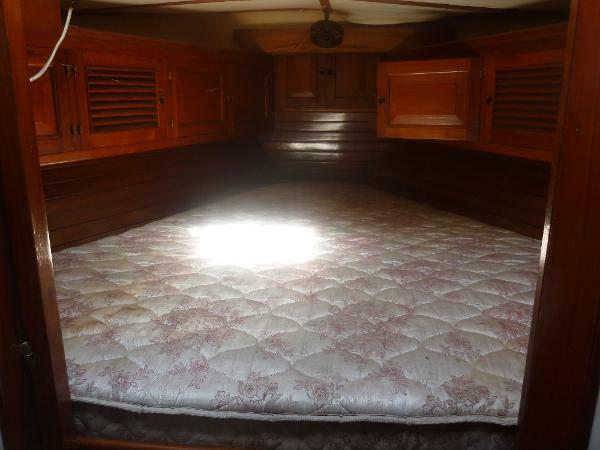 Forepeak cabin with a spacious double berth with reading lights and fan plus teak lockers lining both sides. Saloon style doors can be closed to give complete privacy. overhead is a large hatch for light and ventilation. 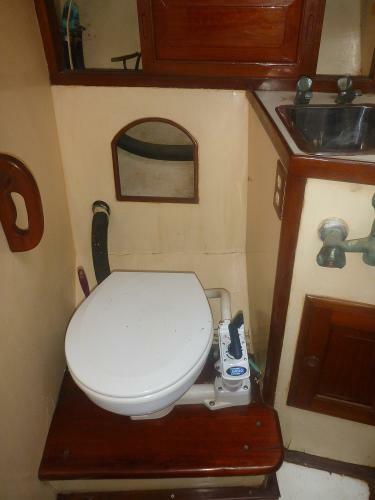 Moving aft, to port is the head with a Jabisco manual WC, a deep stainless steel sink with pressurized hot and cold water set in a vanity unit. Plenty of storage, a large mirror, towel rails, faucets ready for a shower attachment and a large teak shower mat over a drainage tray complete this good sized head. Again doors close off for complete privacy. Opposite the head is a large hanging locker. 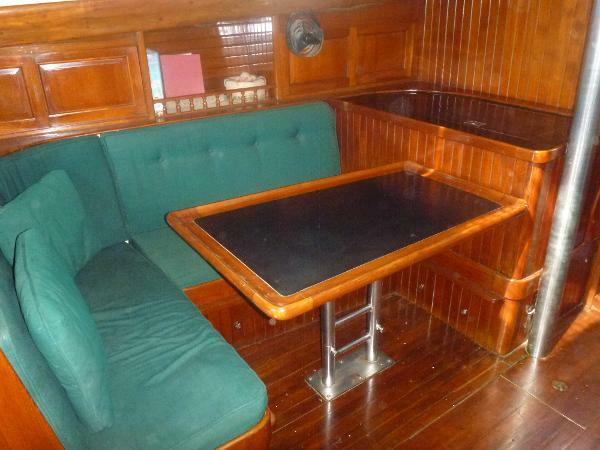 In the main salon is the dinette settee to port, the table lowers to make another double berth. 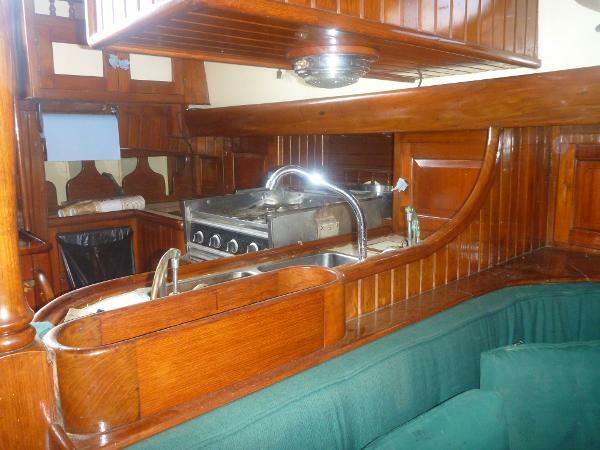 Opposite is a single settee, which is also a pullman double berth, with deep storage lockers behind and below. 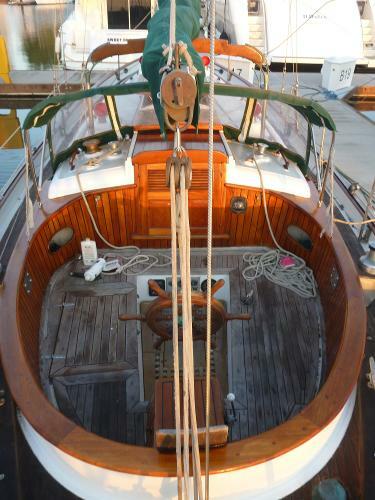 All interior teak has been maintained extremely well. Just aft of this settee is a huge storage locker with double louvered teak doors. An Alder Barber large top loading fridge with freezer section is aft of the dinette. 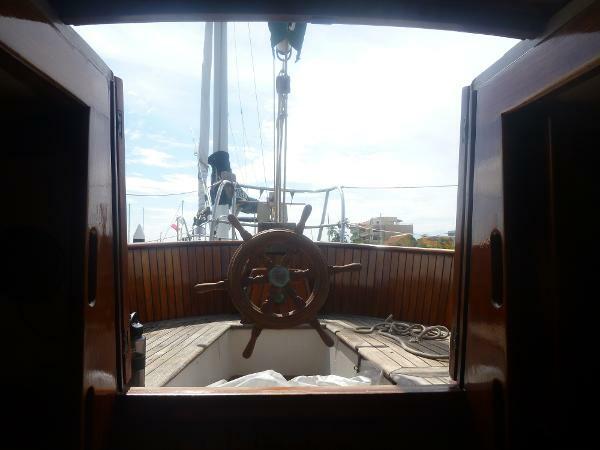 Aft and to starboard is the navigation station. The chart table has a hinged lid and 4 storage drawers below. 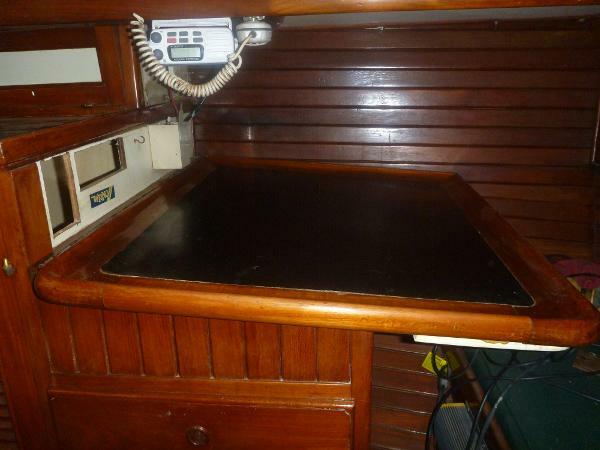 There is a good sized quarter berth behind the nav station, either a generous single or a cosy double. Lockers with sliding doors line the starboard side. All ports are brass and full opening. 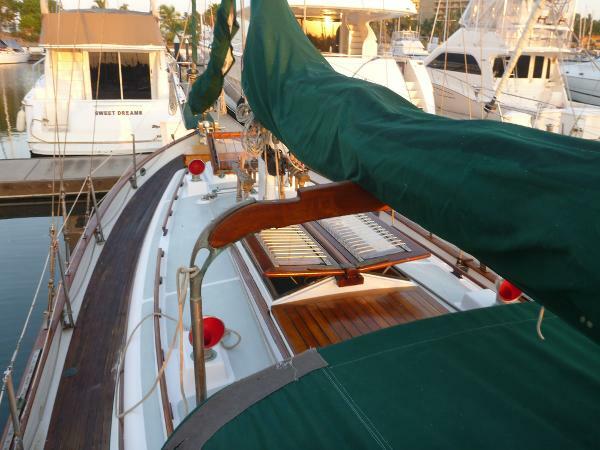 All ports and hatches have mosquito netting. Double stainless steel deep sinks with pressurized hot and cold water plus a fresh water hand pump and a sea water hand pump.